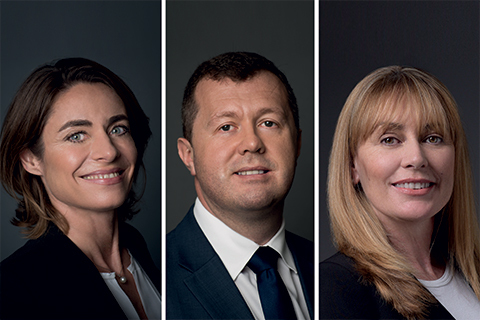 FRA has promoted FRA Directors, Andrew Hunniford and Dianne Drummond from the UK office and Caroline Fagard from the Paris office, to Senior Director. Andrew and Dianne have assisted in the expansion of the firm’s offering in cross border data transfer and international eDiscovery working with clients and their counsel in complex international regulatory investigations and litigation. Both Andrew and Dianne will play a key role in bringing FRA’s GDPR related services to market in 2018. Caroline has been a key driver of the firm’s substantial growth in the white collar forensic accounting and eDiscovery in the French markets. Andrew joined FRA from a major global law firm in 2013 bringing over 12 years’ experience as an eDiscovery practitioner working on cross-border litigation and regulatory matters. He manages FRA’s European eDiscovery team and is currently working on the firm’s largest client engagement, where he manages a substantial eDiscovery team on a highly sensitive matter. Andrew has built up his reputation with the firm’s clients by developing practical solutions for them to enable the preservation and collection of data across multiple jurisdictions, whilst considering local data privacy laws and blocking statutes. Caroline joined FRA in 2011 with over 20 years’ experience in new product development and market-entry strategy. Caroline’s work at FRA involves managing the development of long-term business relationships with European multinationals, European law firms, and US law firms with European offices whose clients require forensic accounting investigation and eDiscovery solutions and consulting. Caroline’s strategy to date has enabled FRA to penetrate the French and Swiss white collar market growing our reputation with corporates, lawyers, and with regulators. Dianne joined FRA in June 2016 with over 15 years’ experience in eDiscovery having worked in both the legal and consulting sectors. Since joining, Dianne has taken a lead role in supporting new clients and projects in highly complex, “bet the company” international matters. With hands on experience of all aspects of EDRM, and work experience in Europe, the US and Japan, to include developing collection strategies and submitting evidence to regulators and judiciaries, Dianne has brought deep expertise and experience to FRA.